This is a new article on NOF, with the Staff all helping out! I started off giving 10s, but as that may be hard, from now on it'll be 5s. This week's topic is: relaxing games! 7). I don't have one, but my neighbor does, Harvest Moon. Very relaxing. 10). Solatorobo: Red The Hunter. It was a very relaxing game to me, idk why. 1) NightSky. The best eShop game ever is also the most relaxing game I've ever played. 4) Kid Icarus: Uprising. Sometimes when I'm feeling down, I'll boot this up and play Chapter 6 or Chapter 18 on 9.0. Which, unless I'm finished, makes me feel good for some reason. 5) Super Smash Bros. Who doesn't like channeling their anger through beating up other Nintendo characters? Super Mario 64 DS, specifically the underwater levels. 1. Animal Crossing: New Leaf- The shameful 40ish hours I put in it was amazing, and relaxing. 2. Sonic 3 & Knuckles- What makes this relaxing for me is when you master all of the special stages, collect all Chaos Emeralds [del]activate the White Raccoon Suit[/del] and go Super Sonic, thats when it becomes really relaxing. And the music. 4. Kid Icarus Uprising- Something about going on a Laser Staff Massacre relaxes me and its epic music. 5. Fire Emblem Awakening- Again, the music relaxes me. 1. Kirby's Epic Yarn - Everything in this game is so laid back and easygoing, not to mention adorable. 2. Super Mario Sunshine - Like I said before, water and the tropics are very soothing, and this game has plenty of both. 3. Pilotwings Resort - Considering you're flying around a Tropical Resort the entire game, it feels like a vacation. 4. The Legend of Zelda: Wind Waker - There's something about the ocean that's very peaceful. 5. Professor Layton - How can a game where you play as a British gentleman and solve puzzles not be relaxing? 6. Theatrhythm Final Fantasy - The music is the main aspect of the game, and it can be quite soothing, as long as you're not playing on Ultimate that is. 7. Super Mario Galaxy - You wouldn't think that the deep void of space would be relaxing, but who didn't spend hours playing with the penguins in Beach Bowl Galaxy? 8. Metroid Prime - The isolation alone makes this a very relaxing experience, then you get to Phendrana Drifts, enough said. 9. De Blob - Bringing color back to the world and hearing the music change as you paint more of the city is wonderful. 10. Yoshi's Island - The cheery nature and happy landscape make this game perfect for when you want to get away. So, what are your most relaxing games? Leave a comment below and tell us! What? I can't use my Admin powers to edit your post and put them in myself? Fine! /Finishes list and will write KiDasharus a PM. (I didn't know you were going to copy paste, so I feel dumb writing that stuff). ._. 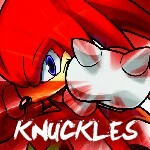 I've added Knuckles and Capn' Pancakes's top relaxing games. And my No.6 most relaxing game would be burning copies of Sonic '06!